Masai earrings and jewellery have become iconic statements of the African culture. 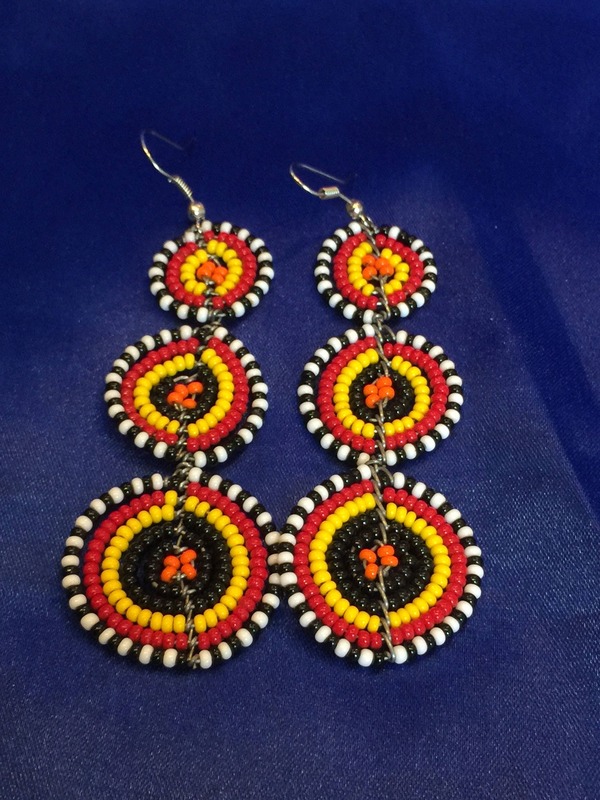 Everyone knows and loves the vibrant and colourful beadwork of the Masai tribe in Kenya and Tanzania. 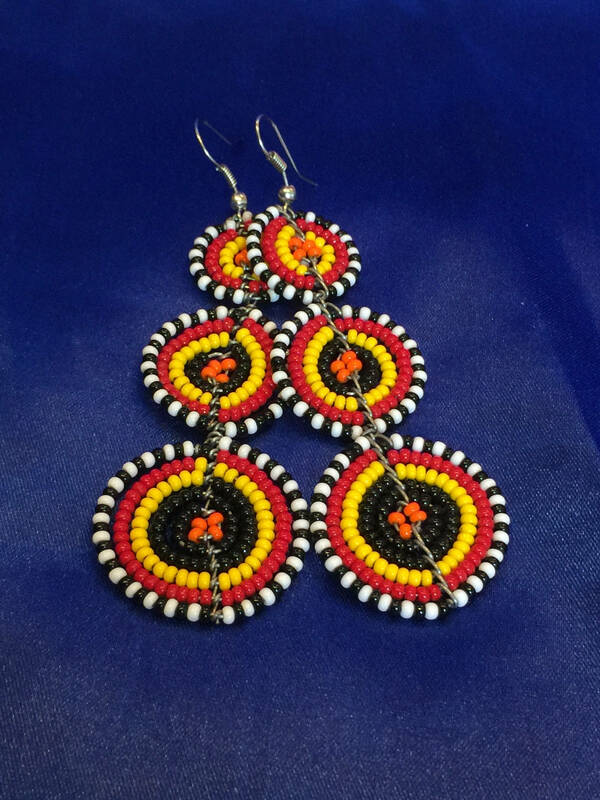 Masai beadwork is exclusively practiced by women, but it is made for both sexes. Different colours and patterns represents the age and social status of the wearer. 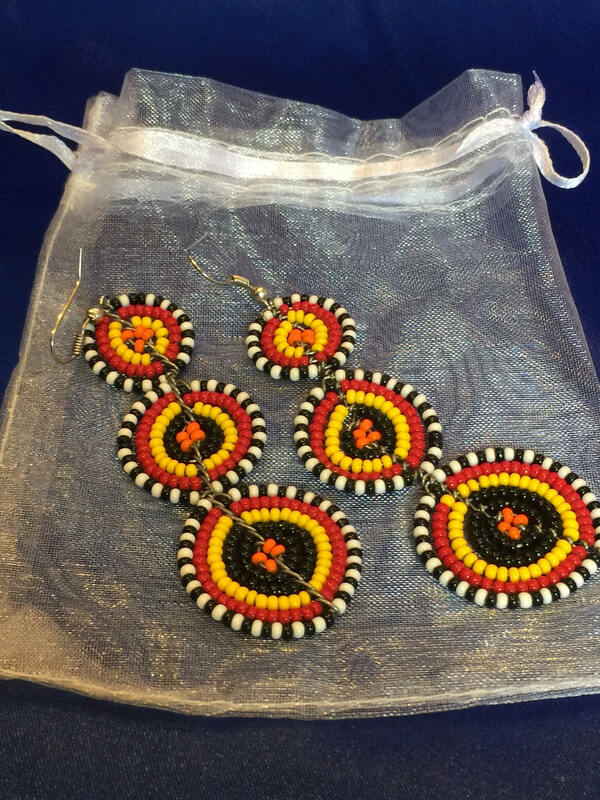 All our Masai beadwork is sourced in Tanzania with the aim of providing employment opportunities to the local community. Make sure you read the measurements of the earrings in the 'overview' section. Why not check the rest of our shop out. We have a unique selection of African clothing and accessories.